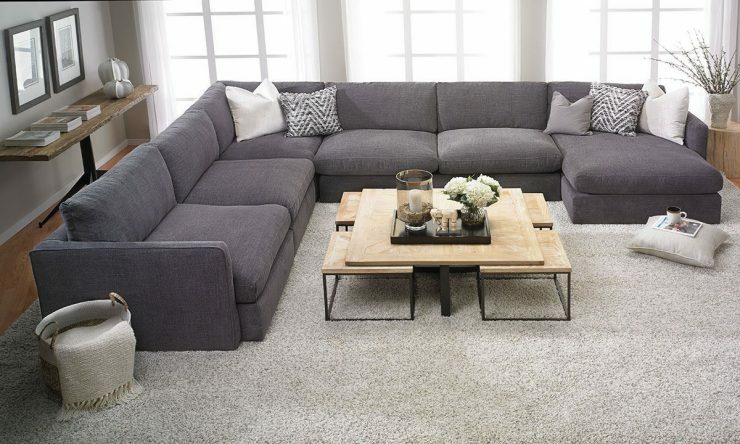 Finding the one sofa or couch you want to have in your living room can be a challenge. Particularly if you don’t have a clear idea of what exactly you’re looking for. Knowing the basics about couch styles, types and names can make any foray into your furniture shop of choice vastly easier. Once you have a general grasp of which kind of sofa you’re looking for, the enterprise to pick your new couch will become so much more enjoyable and less time-consuming, allowing you to pass by the large sections of styles you’ve excluded beforehand and zeroing in on the types you like. Below you’ll find a general overview of the various types and styles of couches and sofas you’ll be likely to encounter, as well as pointers on how you can easily distinguish between them even if they’re not advertised by style. Let’s start with the most contemporary sofa style. Sectional sofas, as their name suggests, are multi-piece sofas that can be arranged just the way you want and need them. The most common configurations are either 3- or 5-piece as your starting-point, but thanks to their modularity, sectional sofas can be expanded to fit your unique needs. Additionally to being the most flexible solution when it comes to size, sectional sofas also boast a lot of add-ons. From recliners to ottomans and chaises, there is a plethora of gimmicks that can be easily added to your chosen pieces, creating an ever-changing experience of comfort. Since sectional sofas more often than not come in a reduced, moderist style, they fit best into large, lofty living rooms. Large windows and high ceilings are great companions to the reduced style of sectional sofas, however, that is not to say that they’ll lend style to even the most family-friendly living spaces. If you find yourself craving frequent changes of shape, or needing to comfortably seat large groups of friends or family, sectional sofas may be your first choice. 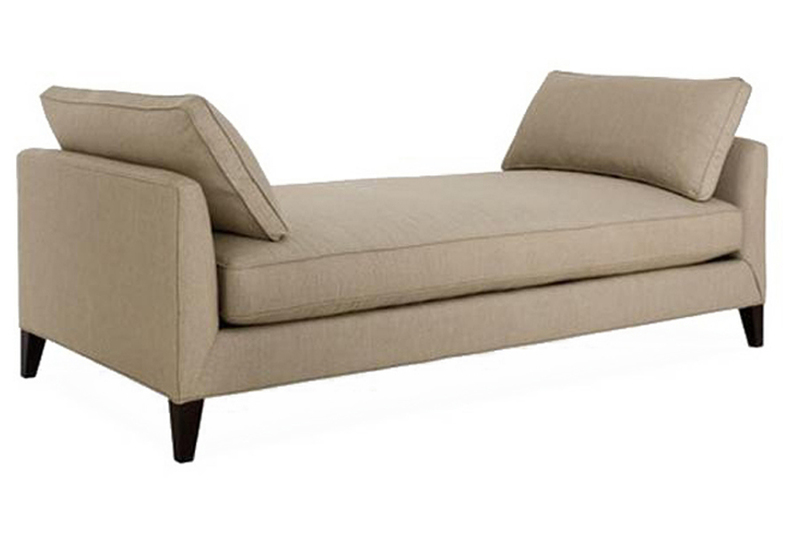 Clean lines and a streamlined look are the main characteristic of this type of sofa. You can recognize this sofa style by its characteristic tufted seat and back-cushions and solid, usually low, oftentimes wooden legs. More often than not, mid-century sofas have a clear, rectangular shape, but there are many variations on the look. 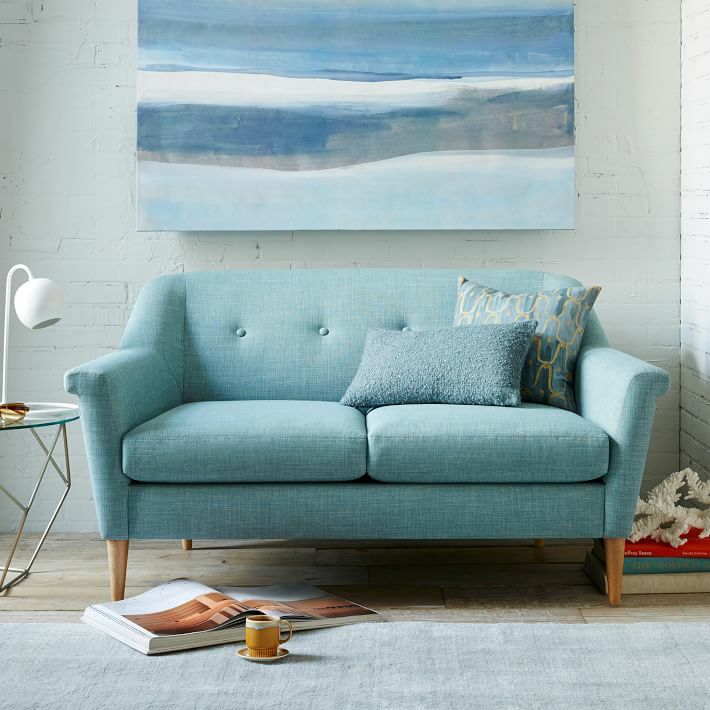 Thanks to its clean lines, mid-century sofas typically fit minimalist home designs, and can serve to add a charming retro look to even the most reduced living rooms. Having started out as a popular sofa form in aristocratic 18th century England, the camelback sofa has withstood the test of time. Just as the name suggests, this form boasts one arch in the middle of the back and two higher points at the side, clearly resembling a camel’s back. These days, another interpretation, the humpback, is sharing the camelback’s popularity and style. The humpback may come with the classic one or an additional second arch on the back cushions. Generally speaking, the camelback sofa is a very elegant addition to any living room and might fit best into a formal room design. 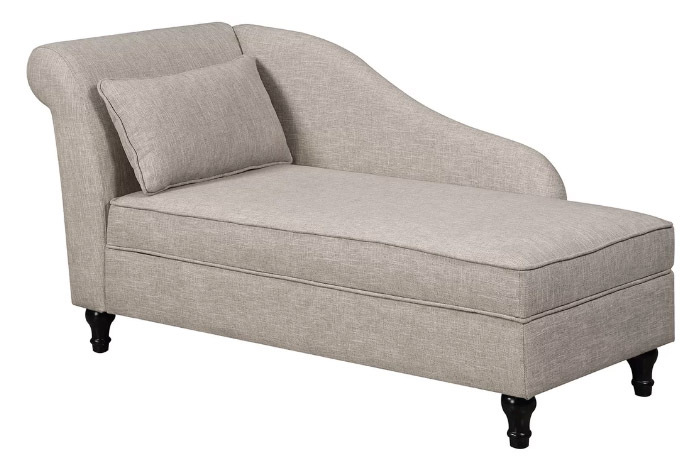 The chaise lounge, or chaise, is basically a sofa that has resulted out of a combination of a chair and a footstool. A chaise lounge usually comes with a high, slanted back and enough room to stretch out comfortably. An arm-rest is possible, and the classic chaises generally do have them, but it is not necessarily a defining feature of the chaise. The cabriole comes with two very distinct trademarks that are easy to spot: the continuous equal-height back and arms that often curve inwards, and the iconic wooden legs that curve outwards on the upper portion and curve inwards on the lower half. The 18th century design of the cabriole boasts an exposed wooden frame in its classic incarnation, however, these days there are many variations of the design that content themselves with just the ornately carved wooden legs and forego the exposed frame, thus adding an extra layer of comfort to the formal design. As one of the staples of Queen Anne, Louis XV, and Chippendale furniture, the caribole is effortlessly elegant and adds a gravitas of classic design to any room. Nearly everybody would instantly recognize the iconic tufted back and rolled out arms of the luxurious chesterfield. Very few, however, know the story behind the design. The 4th Earl of Chesterfield, one Lord Philip Stanhope, is not only the person for whom the sofa is named, he is responsible for the idea behind the design as well. As the story goes, the Earl commissioned a sofa that allowed a “gentleman to sit upright in the utmost of comfort allowing sitting without wrinkling the garment“, and an ingenious local craftsman came up with the design that withstood the test of time. Most often, and in keeping the the gentlemanly design, the chesterfield comes in leather and is best suited for elegant offices or sophisticated libraries. 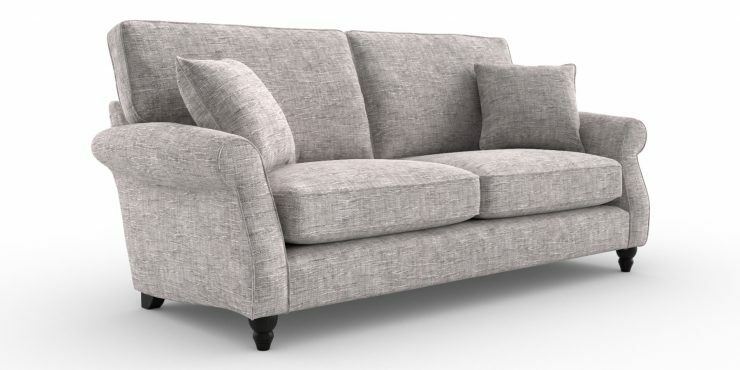 The English sofa, also know as English Roll(ed) Arm, is one of the most comfortable sofas to be had. It is named for its origin as well as for its distinctive cushioned arms. You can recognize this type of sofa by its tight back, lose cushions and rolled arms. The generous cushions make the English the perfect choice of sofa for comfortably lazing without having to fear to be swallowed alive thank to its tight (but still comfortable) back. The classic design evokes thoughts of the English countryside and easily works both in modern homes, formal settings, as well as in lived-in family rooms. The loveseat sofa isn’t a special type of sofa per se, but rather an umbrella term for any sofa made for two people. Therefore you will encounter loveseats in a wealth of different designs and styles, giving you maximum choice. The main characteristics of a loveseat are, generally speaking, a straight back, sometimes more than four feet for extra support, and -of course- its size. Loveseat sofas are the perfect choice if you find yourself having to work around small spaces – be it a studio apartment, a cozy nook in the bedroom, or additional seating space in a hallway or other restricted places. The Lawson sofa is one of the most popular choices of sofa in contemporary living rooms. 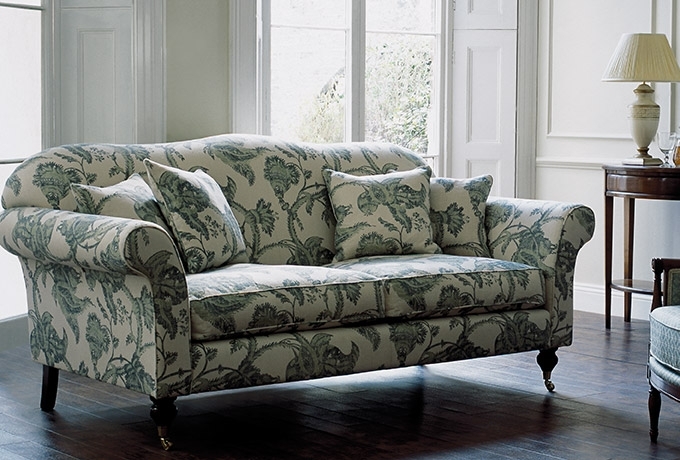 Having been created for the US businessman Thomas Lawson, the main focus of this sofa is its comfort. Generally speaking, the Lawson shares most of the characteristics of the English roll arm sofa, with the one notable difference: the deep, soft back cushions. As a sofa perfect for napping, and the classic design available in a variety of styles, the Lawson perfectly fits any living room. Similar to the Chesterfield, the tuxedo boasts a rectangular frame with arms and back at the same height. 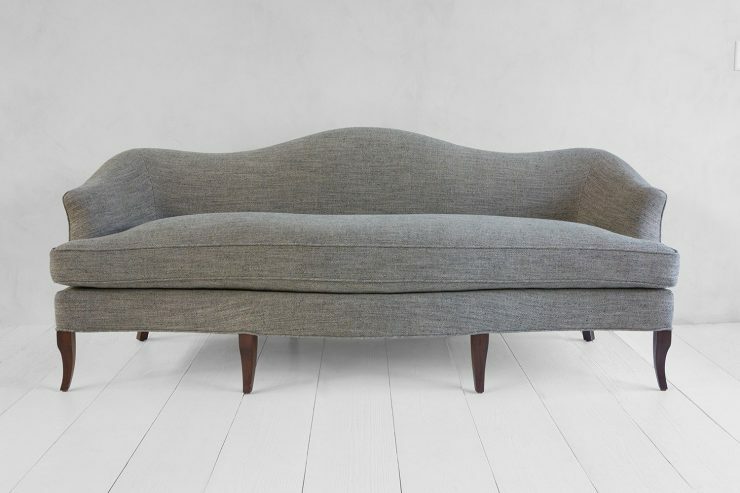 Unlike the Chesterfield, is very clean-lined and oftentimes upholstered in fabric. With its straight lines and subtle chic, the tuxedo is timelessly modern and particularly well-suited for spaces of classic modernism and luxury. 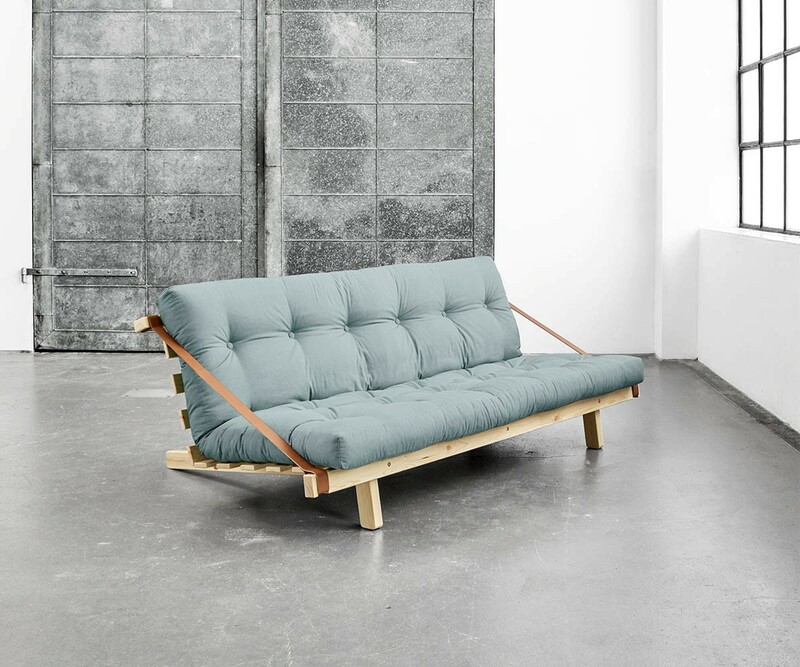 Typically, the futon is seen as the more stylish brother of the common sleeper sofa. Generally, the sofa’s back can be folded or released down, thus creating a big, level and cushioned sleeping surface. Due to its purpose, the futon usually sports a very reduced design that fits perfectly in modern style living rooms. If you find yourself entertaining overnight guests regularly and don’t have a guest room, you might prefer the futon over the good, old fold-out couch. Basically speaking, a divan is a sofa without a back. 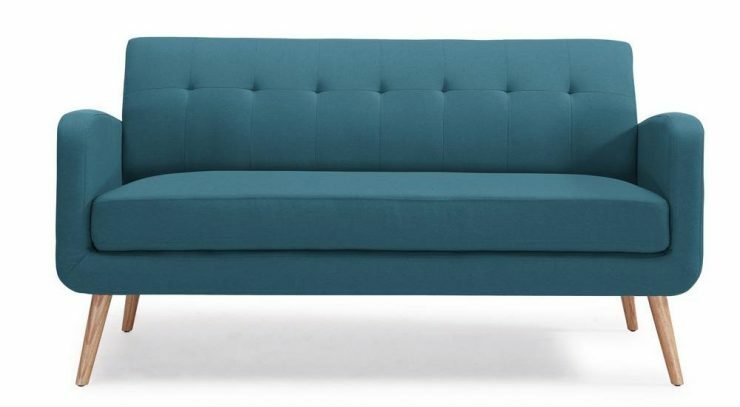 The general design requires you to place the divan against a wall to provide back support (typically, cushions are used to provide the sought-after comfort). While it may seem counter-intuitive to shop for something without one of the most important features of a sofa, the futon does come with a few striking advantages. First of all, the sheer fact that it needs to be pushed up against a wall makes the futon a veritable space-saver. No cushioned backrest, or any backrest for that matter, means less depth. And while at first glance just taking away the back might not seem like saving a lot of space, sometimes every centimetre matters. Secondly, with a divan you’re not as colour-bound as with other sofas. 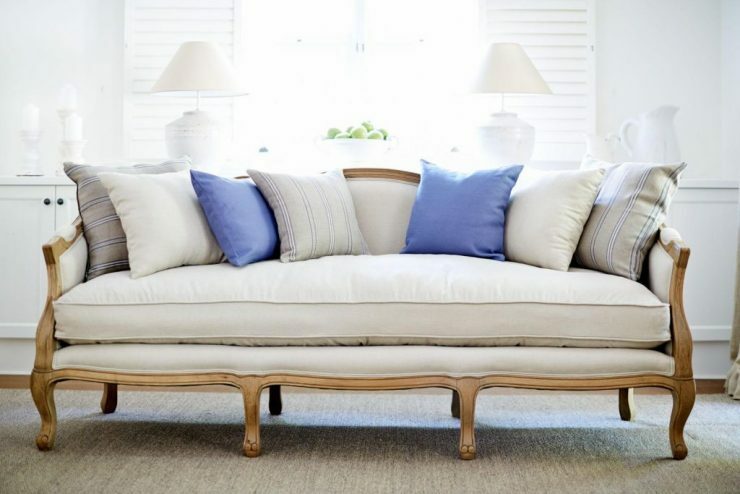 Where you have to change the whole upholstery, or even go out and buy a new one, if you feel like a colour-change with a regular sofa, with a divan you can simply change the used cushions and create a whole new look (particularly if you’ve gone for a divan in neutral colours in the first place). And lastly, if you’re not as concerned about length as you are about depth and have chosen a large divan, it can oftentimes serve as impromptu bed should you ever find yourself out of sleeping space. With its very reduced look, a divan can add a unique touch to a modern, edgy home.